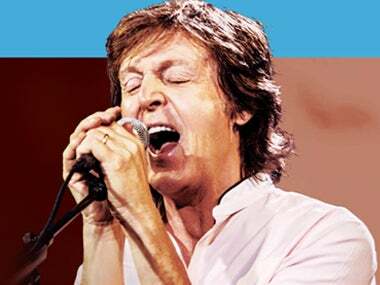 SACRAMENTO, CALIF. — Paul McCartney will bring his global One on One tour to Sacramento on Tuesday, October 4 for an historic performance as the first concert at Golden 1 Center. McCartney’s show is his first visit to Sacramento in over ten years and will feature many of his hits that span over five decades of music history. Tickets for the general public will go on sale on Friday, May 6, 2016 at 10:00 a.m. PDT. American Express® Card Members can purchase tickets before the general public beginning Tuesday, May 3 at 10:00 a.m. PDT through Thursday, May 5 at 10:00 p.m. PDT. Sacramento’s world-class entertainment and sports venue features industry firsts in sustainability and architecture, as well as fan and entertainer comfort. Located in the heart of Downtown Sacramento, Golden 1 Center will draw visitor from the greater Northern California region, including the Bay Area and beyond. The arena brings together innovative design, cutting edge-technology, and creative culinary concepts in an effort to seamlessly enhance the fan experience.